Bangladesh. Puerto Rico. Mexico. A 70-year history of being in the right place at the right time for the world's most vulnerable. 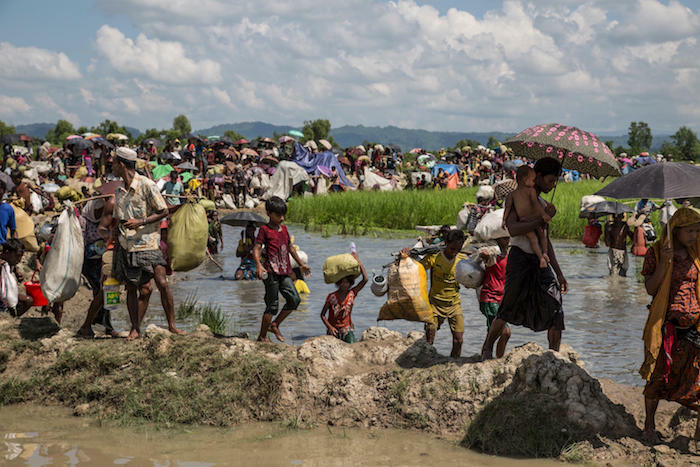 Since August, in what officials are calling a "textbook example of ethnic cleansing," military forces in predominantly Buddhist Myanmar have driven an estimated 1.2 million ethnic Muslim Rohingya out of their homes. Most have fled to neighboring Bangladesh, crowding into sprawling, hastily constructed makeshift settlements in the Cox's Bazar district. New refugees continue to arrive on foot at the rate of 1,000 or more a week, exhausted and urgently in need of water, food and shelter. Many are sick and traumatized. In response to this rapidly growing humanitarian emergency, UNICEF and partners are stepping up to provide nutrition, health care and protection to child refugees and their families. UNICEF is trucking in water, setting up Child-Friendly Spaces staffed with trauma specialists and mobilizing vaccination teams to prevent a looming cholera outbreak. Around the world, natural disasters, refugee crises, conflict and famine are putting more lives in jeopardy every day. With our 70-year history of being in the right place at the right time, UNICEF is there to help. "UNICEF is serving and protecting the most vulnerable children who are living through conflict and crisis. If we do not stand by these children, who will?" says UNICEF Executive Director Henrietta H. Fore. In 2017 alone, UNICEF provided 29.9 million people with clean, safe water for drinking, cooking and personal hygiene, vaccinated 13.6 million children against measles, and treated 2.5 million children for severe acute malnutrition, a life-threatening condition. UNICEF set up temporary classrooms and learning centers, provided supplies and trained teachers so that 5.5 million children could continue their educations and provided counseling and emotional support for 2.8 million of the world's most vulnerable children. 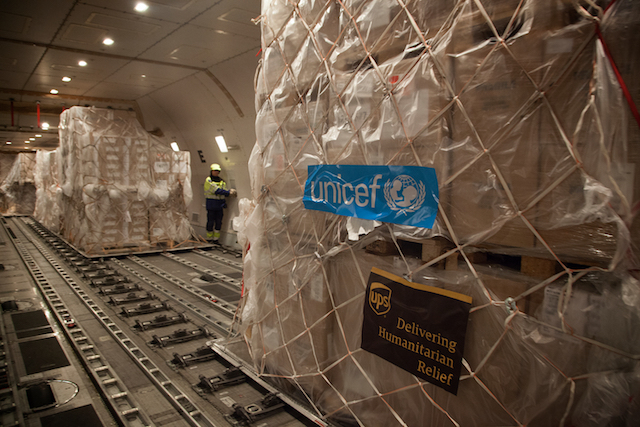 UNICEF's humanitarian warehouse in Copenhagen has supplies packed. Drinking water, nonperishable food, medicines and emergency kits are ready to deploy at a moment's notice, when and where they're needed. The Copenhagen warehouse, the world's largest, can ship emergency supplies anywhere in the world in 48 to 72 hours. Last September, after Hurricane Maria plunged Puerto Rico into a state of crisis, families were faced with acute shortages of fresh water, food, electricity, fuel and medicines. UNICEF mobilized rapidly, providing 12,000 emergency hygiene kits to Puerto Rican families struggling to survive, and rushing shipments of safe drinking water to distribution centers across the island. 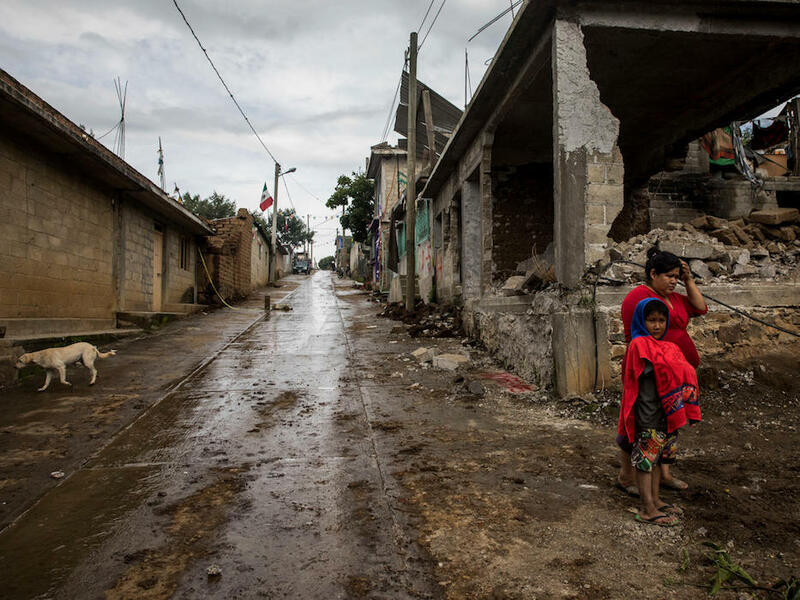 The same month, back-to-back earthquakes rocked Mexico, ripping through buildings and forcing mass evacuations. UNICEF was on the ground to help children and families whose lives had been turned upside-down. UNICEF set up and staffed 34 Child-Friendly Spaces and 100 temporary learning centers serving more than 7,000 children and trained teachers on how best to support traumatized children. UNICEF also delivered School-in-a-Box kits and other learning materials for more than 17,000 children and provided hygiene supplies to help 2,400 families get back on their feet. In any humanitarian emergency, UNICEF puts children first, ensuring that they have what they need to survive the initial impact and then get back to what kids do best: playing, learning and hatching plans for bright futures. Please support UNICEF in getting emergency relief to those most in need all across the globe. Text RELIEF to 864233/UNICEF to make a $10 donation for children impacted by natural disasters. Learn how to give with confidence in an emergency.